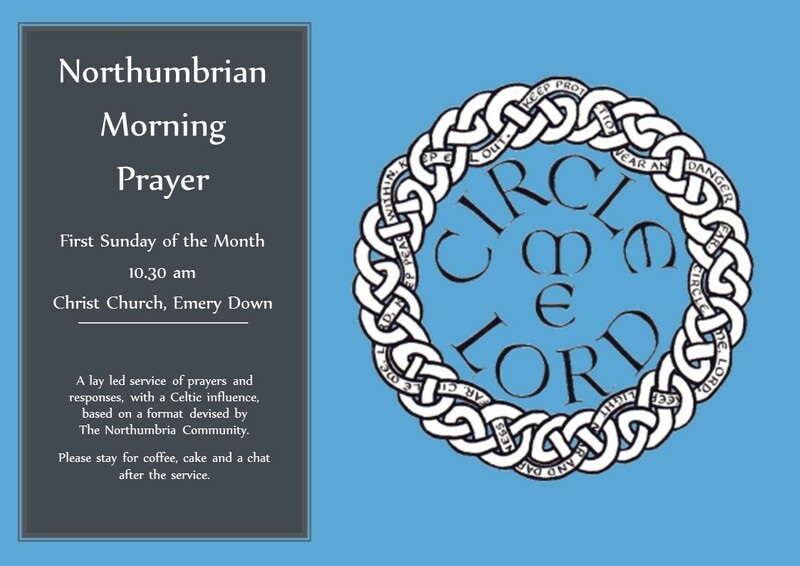 10.30 am on Sunday 7 April at Christ Church – Northumbrian Morning Prayer: a lay led service of prayers and responses, with a Celtic influence, based on a format devised by the Northumbrian Community. Please stay for coffee, cake and a chat after the service. Everyone welcome.